Sqk is never happier than when given safe space outdoors to run in. In good weather I will take him to local woods or one of the parks so he can run to his hearts content. He tends to complain a little when he falls over and we are having to persuade him that he can get himself up but we are getting there. When we went to Center Parcs back in late Feb/early march he had a great time being able to explore and similarly when we have been to other places he just loves to run. 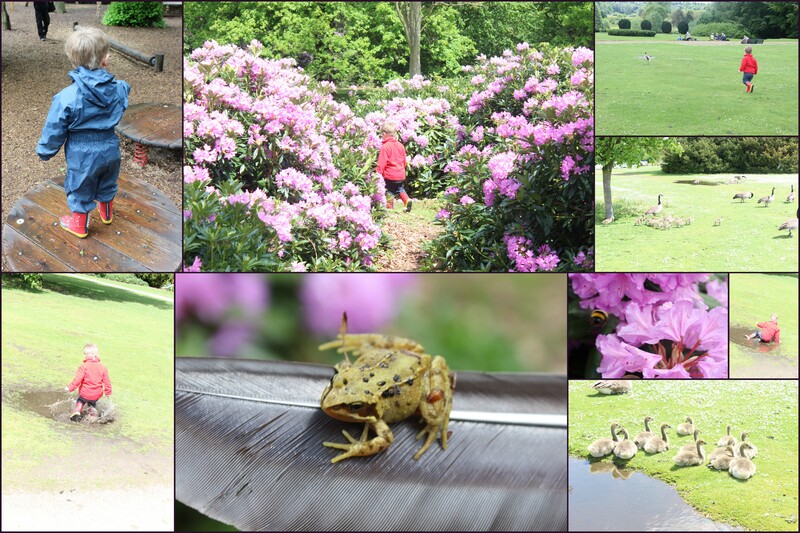 Clumber Park is a great place for this – last time we were there he loved puddle splashing with Pickle and also seeing the new life – Pickle’s Mummy found a baby frog and there were goslings as well. He does love play areas and is often found on the bigger children’s equipment as well as that designed for toddlers. Some of our pictures from second day of introductions show him trying to use zip line at a local park (which wasn’t working at time). This week I found a park within walking distance of home with various bits of equipment that he just loved. 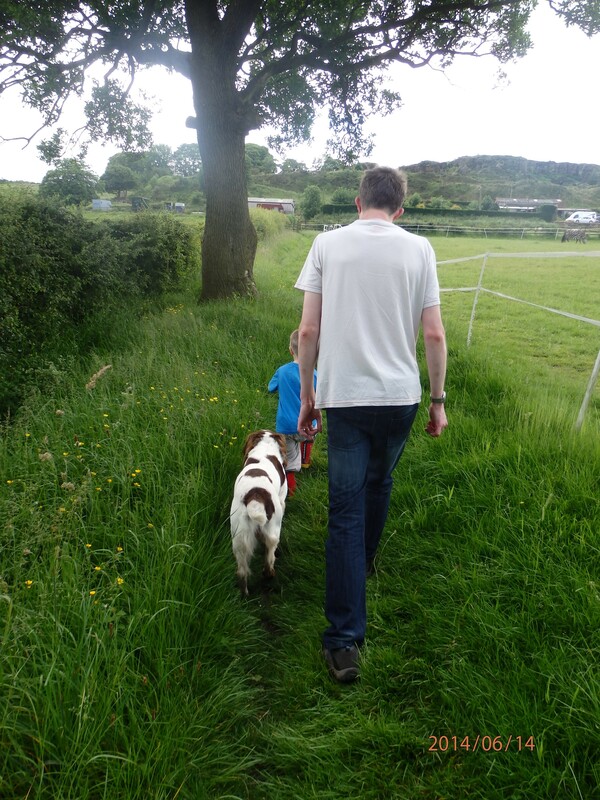 So being outdoors is a really important thing for us – and indeed yesterday all three of us went on a walk with Henry-dog (my parents springer spaniel who is staying with us while they are away). 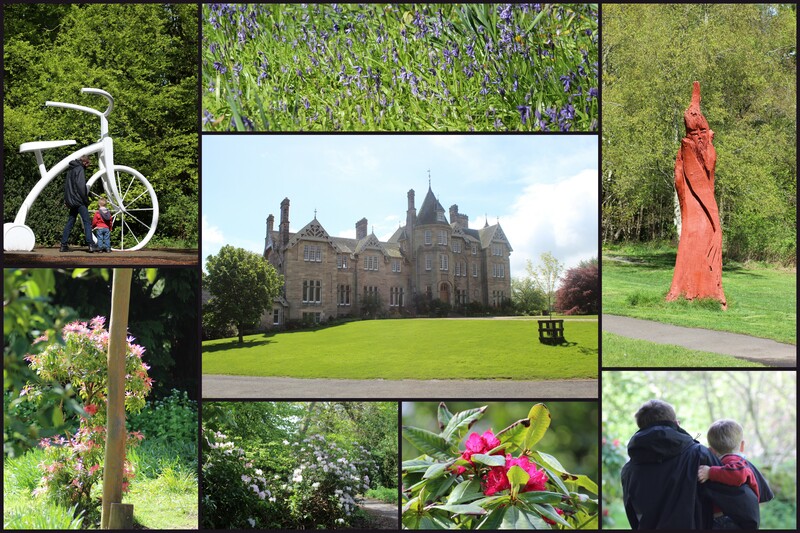 This week I have been outdoors a lot walking Henry and it has reminded just why I love living here as all the photos in collage below were taken within 5 minutes walk of where we live. 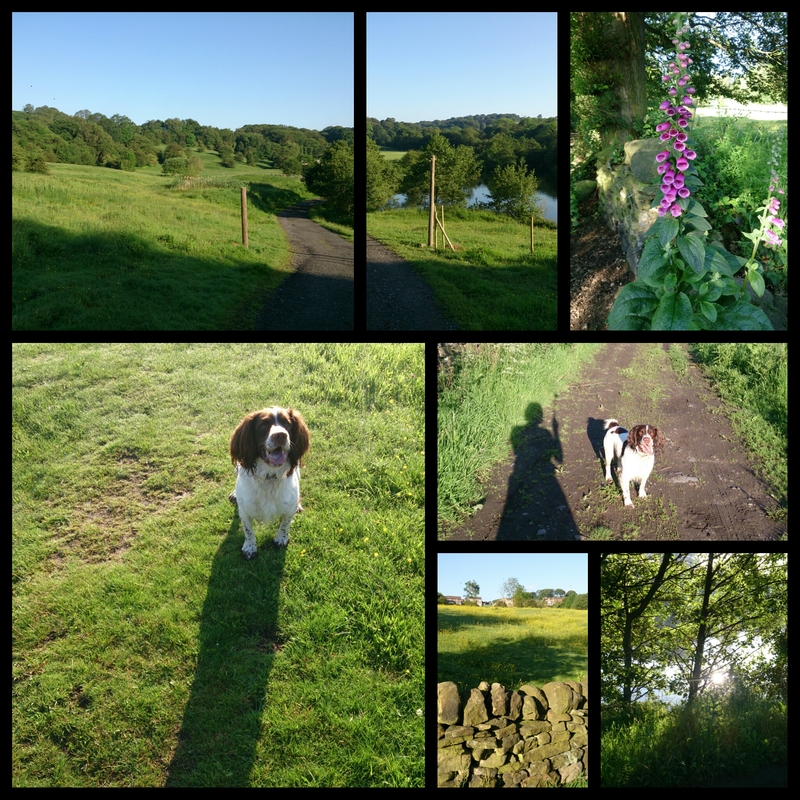 Incredibly lucky to live close to city but with open countryside behind us. It is a great blessing with a son who loves to run and be outside.